I really enjoyed Yomawari: Night Alone… well enjoyed might not be the right word. It was a unique, atmospheric horror game that had constant jump scares. It wasn’t what I would call “fun” but it was a gripping experience that kept me hooked all the way through. 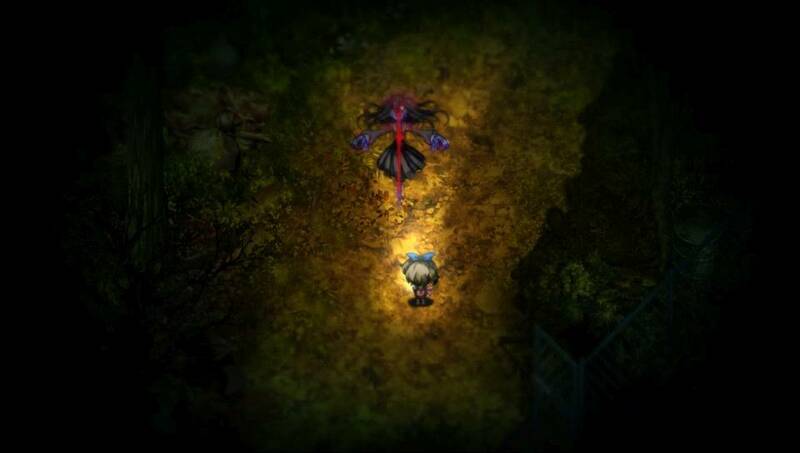 Yomawari: Midnight Shadows is very similar to its predecessor. It doesn’t evolve the formula but expands on the first game with a larger world, better story, more enemies and many more jump scares. The game starts out with the two characters, Yui and Haru watching fireworks together at dusk from their town’s hill top. As they return to their homes, they are separated with Yui disappearing. Yui is mysteriously transported around the town, waking up in different locations. Haru can somehow hear Yui and spends the game exploring the town avoiding spirits and monsters as she tries to find her missing friend. The mystery of what is happening to Yui, kept me interested throughout my playthrough. 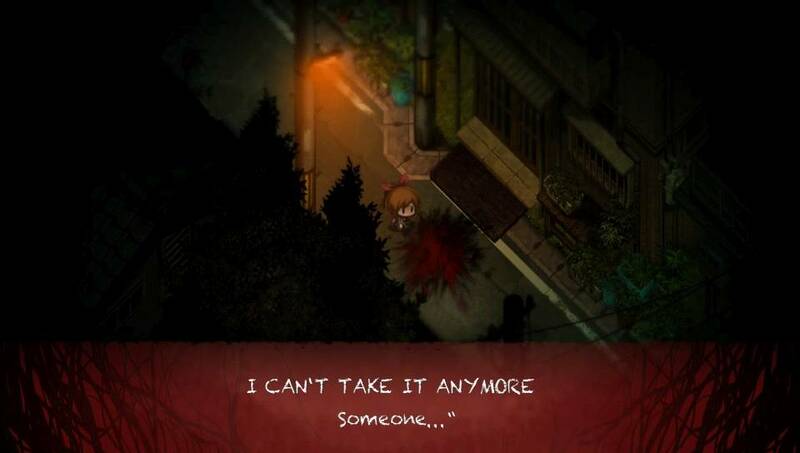 The story is far better than that of Yomawari: Night Alone. There is very little dialog in the game and it gives you very little explanation of whats going on, but it does a really good job of making you feel the sadness, hopelessness and loneliness of the two girls as they search for each other. After one stressful encounter, Haru stopped to cry that she can’t take it anymore and with all the scares of the game and release of tension, you can feel her pain. The gameplay is pretty much the same as the first game. Yui and Haru need to avoid the deadly spirits in the world but they move very slowly. They can run, but not very fast and their stamina can deplete very quickly, especially when they are being chased. You walk around the town using your flash light to reveal enemies. When enemies are nearby, the girl’s heartbeat starts getting louder and louder and faster and faster. It really adds to the scares and tension of the game to hear the heartbeat getting louder but not seeing the spirit approach you until your flash light shines on it. Many enemies move faster than Yui and Haru and trying to out-run them is not possible so you need to vary your approach either avoiding and taking a long way around an enemy or trying to creep past them. You can hide in bushes or behind signs but when you’re being chased in a large open area with no nearby bushes, there is a good chance you’ll be killed. The town is far bigger in Yomawari: Midnight Shadows compared to the first game with lots of items to find. The larger map gave you far more area to explore but it also meant I got lost a couple of times not knowing where to go. The game gives some direction to help your exploration with some roads and locations locked off by large stationary monsters. Yui’s dog also appears occasionally to give you some guidance of where to go and barking in the distance. 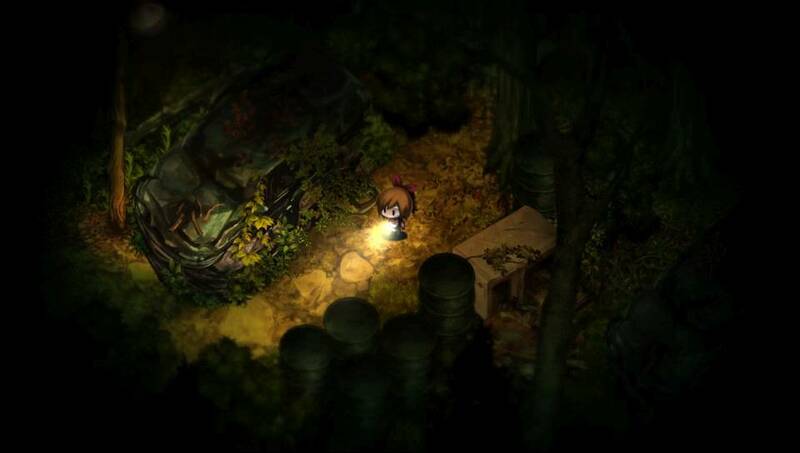 After decades of playing video games, I always feel the need to explore every area thoroughly, but Yomawari: Midnight Shadows made me pause as soon as I heard or saw some evil spirit up ahead. The helpness of Yui and Haru meant every encounter felt scary from the small spirits that sounded like a buzzing fly to the fast, giant demon dog that charges at you from a distance. Like in the first game, dying was a double edged sword – dying caused jump scares but as it happened more and more, it lost its scary nature and in fact could be used to make the game easier. When you die you start back at the last save point. You also don’t lose any items you picked up. If I took a wrong path it was sometimes faster just to let myself die rather than walk back to where I needed to go. Also since, you keep all items, I would purposely run past spirits to grab an item knowing they would kill me shortly after. I can understand why dying was implemented in this way. Given how slow Yui and Haru moved, forcing players to walk back and replay difficult sections each time you died would add frustration and boredom to the gameplay, but the consequence was that death became less of a worry and instead became a useful tool in completing the game. 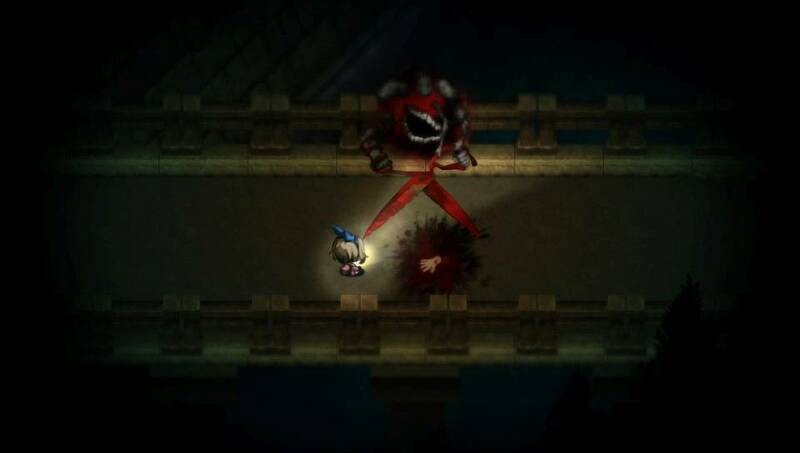 Compared to the first game, there is far more variety to the monsters and there are also boss encounters. The enemies attack in different ways and it was quite common for me to die the first time I found a new monster type. The boss encounters normally involved avoiding the boss while trying to survive, escape an area or collect items. The boss fights were fine but I found them less scary and tense than just walking on the streets. 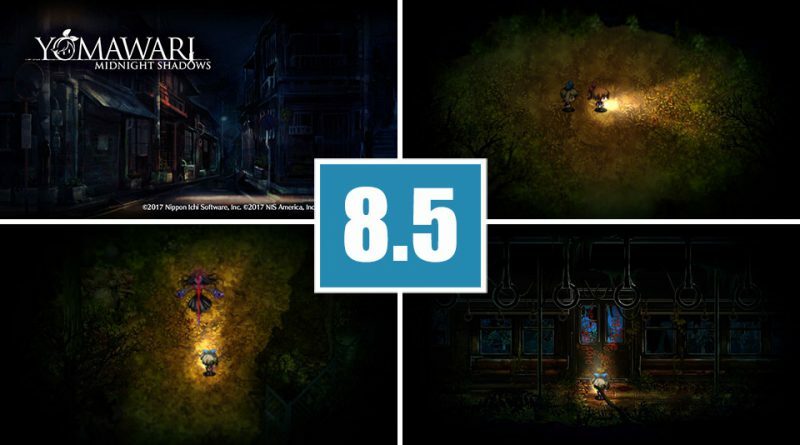 While walking around the town monsters can come from anywhere so you stay on guard at all times, but in a boss fight Yomawari Midnight Shadows felt more like a traditional game where you have an objective and you are playing to achieve the objective. For the most part, the game wasn’t too difficult as long as you are careful and remember the attack patterns of enemies, although I did find some sections of the game could be frustrating because the enemies were so much faster than me causing me to die often. Also there were some areas where you were pretty much guaranteed to die the first time because the enemy attack was so unexpected and fast and there was no warning it was about to come. I didn’t appreciate the times that this happened, because dying and going back to the checkpoint wasn’t about my lack of skill or a mistake that I made, it was the game killing me with no way to avoid it. If you don’t like horror games or jump scares then this is the wrong game for you. The game is made to scare you. It does such a good job of building the tension and keeping you engrossed. Each time you die the blood splash death screen flashes with the sound of bones crunching. Hours into the game, the sound of the death screen could still make me jump. One of the first jump scares was so unexpected that I nearly dropped my Vita! I found it both a positive and negative of the game. I kind of liked being scared in a weird way, but when it happened too often it stopped feeling special. At the start of the game it asks you to promise you will play it in the dark with headphones and the lights off. I immediately broke that promise by playing it during the day. I ended up playing most of the game during the day so that I could complete this review which definitely lessened the atmosphere and scares. I would recommend playing it in the dark to get the best experience out of it. Yomawari: Midnight Shadows takes around 8 hours to finish, although it can probably be finished faster if you don’t bother to explore the area. You’re looking at around double that time if you want to find all the collectibles. The characters and the town looked amazing. The hand-drawn, pastel style graphics of the characters and town really contrast to the hideous monsters that roam around. Tharu’s house is bright and colourful and gives a warm feeling that really contrasted to the cold, dark town. Nailing a good horror game comes down to the atmosphere and sounds. 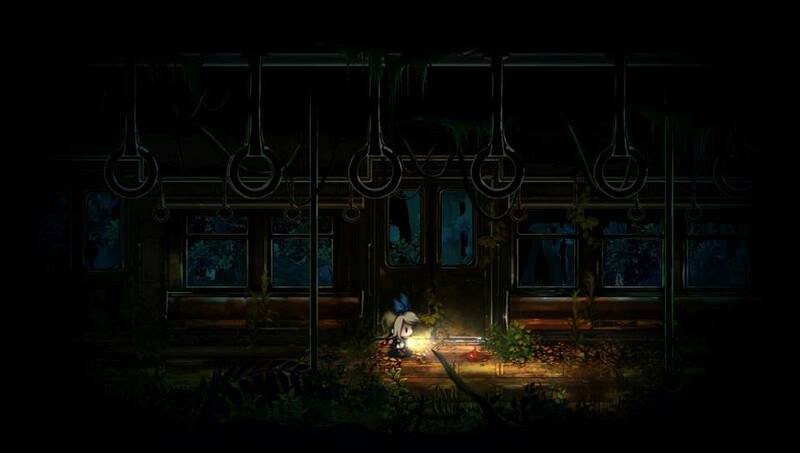 Like the first game, Yomawari: Midnight Shadows gets these aspect right. There is no music in the game except at the end credits, and since there is no music all the sound effects seem especially loud, even the crickets chirping in the distance or the hum of electricity in a nearby street light give a feeling that you are alone in this scary world. Every footstep you take and the sound of the Yui or Haru’s heart racing adds tension to the game. Different spirits had different sounds that made me feel uneasy and tense. The first time I heard the sounds of a spirit woman screaming and falling out of a window onto the pavement with thump made me jump or hearing the distorted sounds of a babies crying made me feel so uncomfortable. There were so many examples I could give of how the game just nails the sound effects to create uneasiness, but its better to experience the game and feel the chills for yourself. Yomawari: Midnight Shadows is a very good game. If you enjoyed the first Yomawari, then you will enjoy Midnight Shadows. The gameplay and style is pretty much the same which is no bad thing since the first game was also so good. Midnight Shadows perfectly nails the horror atmosphere with its slow player movement and chilling sound effects. 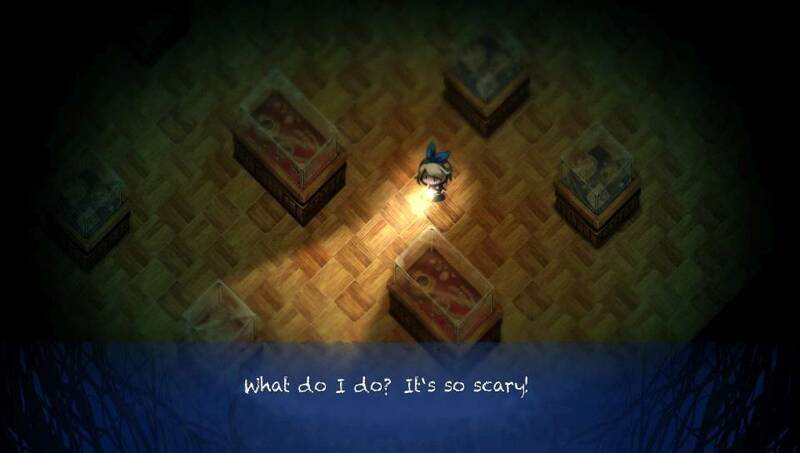 This is a game that should be played in the dark with headphones on, letting yourself just feel the scares and tension of being a helpless child exploring a town full of monsters at night. The review was written and provided by 2 Old 4 Gaming. All screenshots are from the PS Vita version. The review is based on a review copy which was provided by the publisher.